When is the best time of the year to move? Just like there’s a magic day to buy a plane ticket, there’s also a specific time when moving that can be a little less costly or stressful. The only difference is that the specific time when it’s the best time to move can be different depending on who’s moving. When planning a move, preferences may vary from saving money, school calendar, the weather or move in date flexibility. This article discusses which time is the best for each type of preference. If you would like to save money on your move, the best way to plan your moving date is to target the time when moving companies are the slowest. The key here is to avoid the time when everyone else is moving. Summer is the most expensive moving season. Moving companies are busy and charging their highest rate, kids are out of school and everyone is moving. The ideal time to move would be spring or late fall. Also, you should consider moving in the middle of the month and avoid weekends or holidays if at all possible. Most parents prefer to move in summer. During summer, kids are out of school and you don’t have to worry about them experiencing much sudden changes in the middle of the school year. It also gives them time to get to know their new neighborhood and make new friends. Moving in summer can also be beneficial since your kids can help and you are not worried about picking them up after school or helping them do their homework. However, some parents found that moving in the middle of the school year is the best time. Teachers are more likely to give more attention to new kids in the middle of the year than in the beginning of the year when everyone is new. Also, moving in the middle of school year can help our kids meet and make new friends faster than they would in summer. Parents might need to consider what works best for their kids; and if possible, involve them in the decision making. The weather can have a great impact on your moving experience. Bad weather will not only make the moving process hard for you, it can also affect your belongings. In some states, summer heat can be extreme, and in the others winters are so extreme you can’t even drive. Also, if you have valuable items that can be affected by the weather, you might need to wait for seasons with favorable weather conditions. If you are worried about extreme weather condition, this is another scenario where moving in spring or fall might be a good Idea. Sometimes, situations like limited apartment availability, change of employment or divorces might give you less wiggle room to plan your move based on your preferences. In this case you might end up taking what’s available or what you can afford. 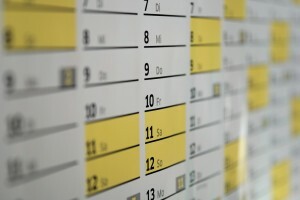 However, you can still plan your moving day in the time of the week or month when moving companies are less busy. Remember the “middle of the week or middle of the month ” rule.